Is your trampoline looking a little sad? It may be needing a little attention! 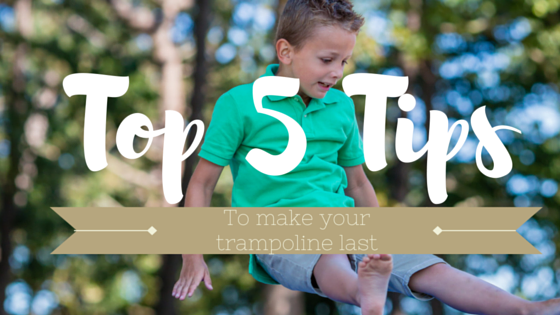 The team here at Topline Trampolines have a few tips on how to make your trampoline happy again and to keep your kids bouncing through the Winter months. Make sure you keep your kids active when it’s too cold for activities like beach swimming or water fights, and ensure your trampoline is in good condition. Swap / relocate slightly over-stretched springs with a spring from a less active area or if springs are more than slightly over-stretched, replace them. If the stitching on your black mat is unravelling, remove the mat and send it in for a re-stitch. Periodically remove the legs and check for signs of rust. If OK, spray with a rust inhibitor and replace legs. If your Spring Pads need replacing, (normally if it has been more than 1 – 3 years) order some new ones. Clean only with cold water. (Usually, the rain does it for you). Contact our friendly team today and make sure your trampoline is in tip-top condition!